The time from which linux has been introduced there has been a conflict between the Windows users and Linux users as they are directly not supporting file sharing within themselves. For this purpose we are using the Samba file and printer sharing, it integrates with CIFS tools to mount the windows partition. 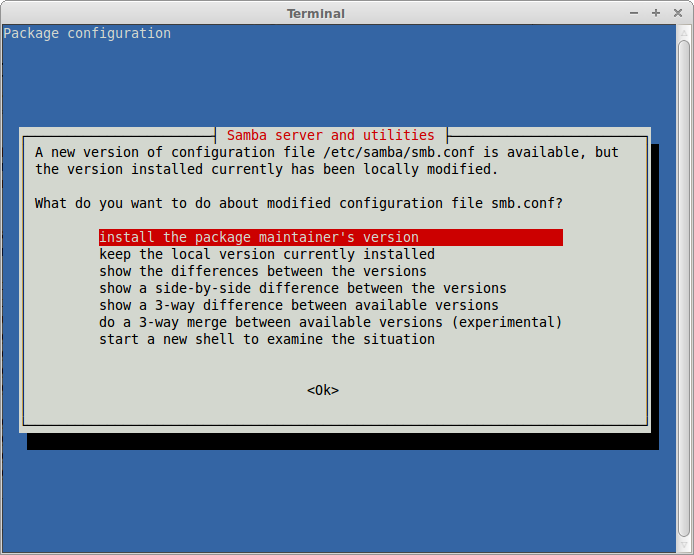 So lets start with installing samba and configure it. A router so that both of the systems gets connected to each other. Note: This post can be followed in virtual systems too such as VMware or Virtual box. it will ask you for your account password enter it and after analyzing it will ask you for uninstalling the samba, press 'y' (without quotes) and press Enter it will remove it. this is a GUI utility to configure Samba. well this is required to mount the windows shares so ensure it is installed!!! In the "Access" tab for a small duration click on "Allow access for everyone"
Now open "Preferences" on the top click "Samba users"
In "Windows username " enter the username of the windows account from which you want to mount the shared folder. Select a folder right click>properties>sharing in advanced sharing mark the check box "share this folder"
In permissions click "full control" apply it and close now you can see "shared" tag on it. if that windows system is under some domain name you can add domain to the command. Now you can see that the windows share has been mounted. This will unmount the folder!!! Same you have to do with the unmount script do the same!!! So guys i hope you might have successfully mounted and unmounted the shared folders plus learned a bit of shell scripting. NOTE: If you are experiencing "denied access or permissions denied" error just check are you using the "sudo" keyword before the command its like ordering your subordinate with a higher designation. Sudo makes it possible for you when you normally can't. Still you have any doubts or experience any problems please leave comments and i promise i will definitely help you.